If you haven’t used Amazon Prime Now app yet, now is the time to use. 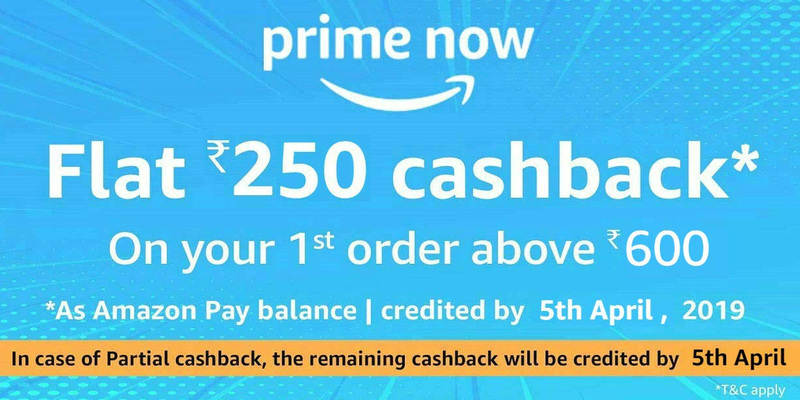 Now get flat Rs.250 cashback as Pay balance on 1st Order of Rs.600 or above only on Amazon Prime Now app. Order any items and save more !! 5 . Done !! Cashback will be credited by 5th April.